Amid talks of overcapacity problems, ghost malls and household retail brands filing for bankruptcy, MAPIC 2018 will bring together leading retailers to identify the new retail mix and stimulate growth and new business models. 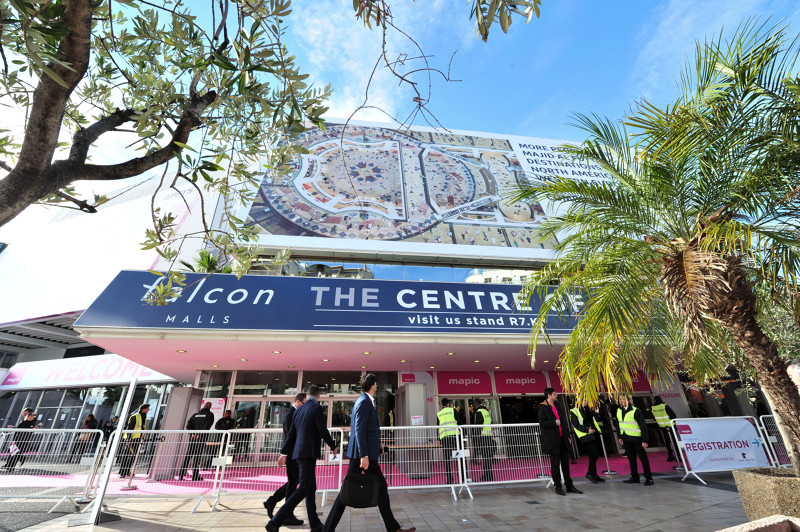 Organised by Reed MIDEM, the International Retail Property Market will be held in Cannes from 14 to 16 November. With over 8,600 participants in 2017 including 2,100 retailers, MAPIC is the leading international leasing platform for key property players to build life place destinations and take the pulse of the market. The current worldwide sales forecasts from eMarketer show that e-commerce sales account for one-tenth of total retail worldwide, with notable discrepancies by territory, from 17% in the UK to 3,2% in Italy. Asia-Pacific will be home to more than half of the world’s digital buyers this year. Approximately 61.7% of Asia-Pacific’s internet users and 28.5% of its population will make a purchase digitally this year. By comparison, roughly one-quarter of digital buyers worldwide live in North America and Western Europe this year. In this rapidly changing context, the role of the physical store is evolving. E-commerce is now part of the retail sales channel in the same way as the physical store: the two are complementary and self-feeding if designed according to the same and unique logic that puts the customer experience at the centre of the device. The theme of MAPIC 2018 will be Physical in the Age of Digital. Through a gold-standard conference programme featuring over 100 speakers; it will treat the online to offline convergence, the emergence of new physical demands, innovation as a key driver to embrace retail transformation and magnifying the customer experience. In the digital world, the consumer is constantly seeking emotional engagement through new physical and social experiences. Retail locations are re-evaluating their spaces to focus on social and community uses. While shopping centres understand the potential of leisure, they need to know which type to focus on. The first MAPIC Leisure Summit on Tuesday November 13th, will take a half day to look at the different issues relating to the integration of leisure, including how to source solutions, how to set up in a retail location, as well as different business models and international trends. The summit will then look at a different perspective: what if culture and education were the future of shopping centres? As authentic, vibrant places, shopping centres diversify their offer and especially their activities to create new experiences and attract new customers. Culture is one the new pillars. Exhibitions, concerts, museums, cinemas … all represent strong, motivating forces for consumers. The rise of wellness, the art of taking care of oneself and a more diverse retail mix, is behind the emergence of wellness locations in shopping centres. For the first time at MAPIC, a dedicated conference session will explore the best innovative beauty and wellness services to create customer value. As purchasing patterns evolve and consumers become increasingly autonomous, unpredictable and connected, new economic models are emerging. How Property Players & Retailers Match?, is a panel session that will focus on the successful models of the sharing economy and the online second-hand market. In response to these new models from the digital world, shopping centres are looking to make their spaces available for new players as the last link in the purchasing chain. Even when digitally connected, the consumer will always need a physical point of contact. Sign up for our ACROSS Newsletter. Subscribe to ACROSS Magazine. McArthurGlen Designer Outlet Ashford announced that work has started on Europe’s largest living wall installation, which forms part of the centre’s £90 million expansion. Made up of approximately 120,000 plants, the 25,000 sq. ft. living wall installation is set to create a striking atmosphere in the centre, with beautiful vertical gardens covering the walls of the new entry promenade, various walkways and many of the new stores. ​Sonae Sierra’s financial and operational results in 2018 reveal its solid performance and the successful implementation of its strategy. Likewise, the company has demonstrated its capacity to creating shared value by addressing sustainability issues while getting good financial results. Hanningtons Lane has opened to the public and visitors are able to walk down Brighton’s newest Lane for the very first time. Redevco and its main contractor Westridge have been working hard on the creation of the city’s new retail and cultural quarter for two years and retailers are now starting to move in and fit our their stores. Frankfurt Airport Retail (FAR), a joint venture between Gebr. Heinemann and airport operator company Fraport, is bringing the first Saint Laurent Paris boutique to a German airport. New experts to be included in the board are associated with Amrest, Apsys, Dentons and Atrium among other companies. Grosvenor Europe has announced that global fashion brand, Polo Ralph Lauren, has officially opened its 1,900 sq ft new store on Liverpool ONE’s Peter’s Lane. Follow us if you want to be kept up to date about what's going on, minute by minute, then search for htmlstream and give us a follow! ACROSS is the international and independent trade medium for retail real estate in Europe. The magazine covers topics through the entire value chain of modern retail properties. Interviews and experts’ opinions are in the focus of the editorial coverage. The latest retail or development trends and news about the different markets, round out the magazine’s content.